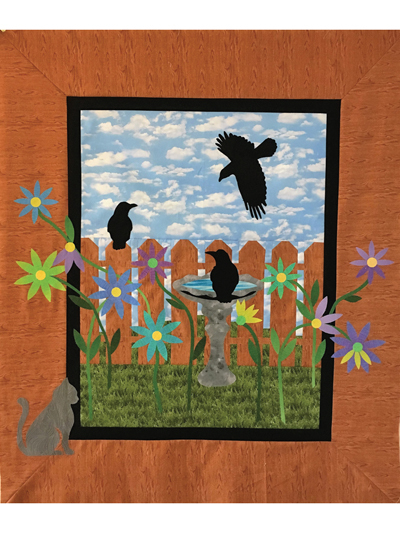 A cute wall hanging for you! 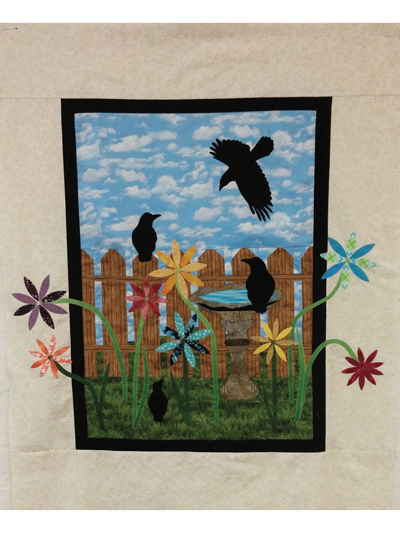 This quilt pattern reflects a group of crows. Here they are pictured enjoying a sunny day in the garden. 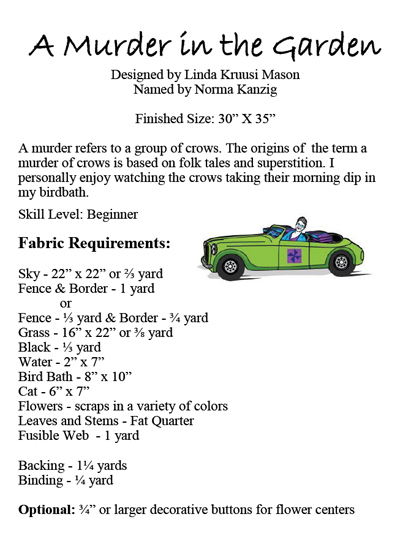 You will love this applique pattern. Finished size is 30" x 35".